ELMC will take place in the ICE Kraków Congress Centre (Poland). Interesting architecture and convenient location once again determined our choice for the next edition of the European Labour Mobility Congress. Opened in 2014 it is one of the most modern and prestigious event spots in Poland. We hope that while taking part in our event, you will have an opportunity to learn it’s qualities. ICE Kraków Congress Centre meets the highest requirements of international congress, conference, business meeting and show organization as well as the highest acoustic and stage mechanics standards. Glass foyer facing the view of the Wawel Royal Castle and the organic design are only a few of the qualities which put ICE on a must-see list in Kraków. 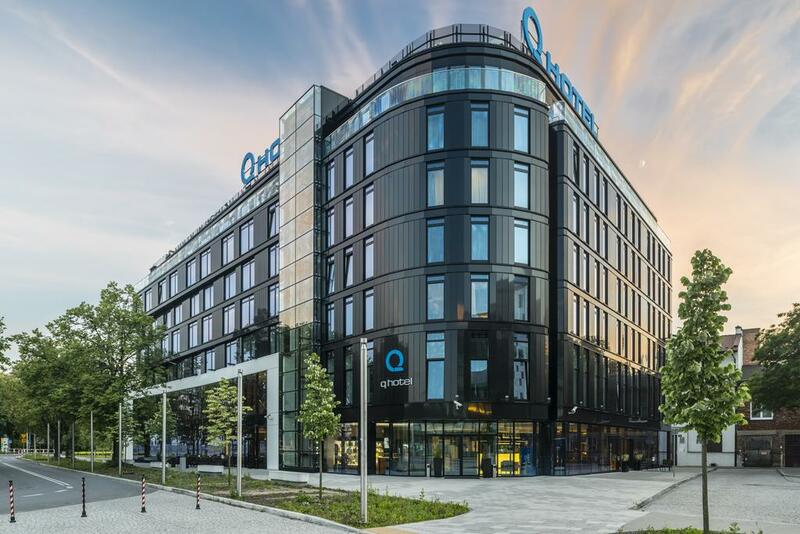 The Q Hotel Plus Kraków is a modern, four-star hotel with excellent location in the very centre of Kraków. 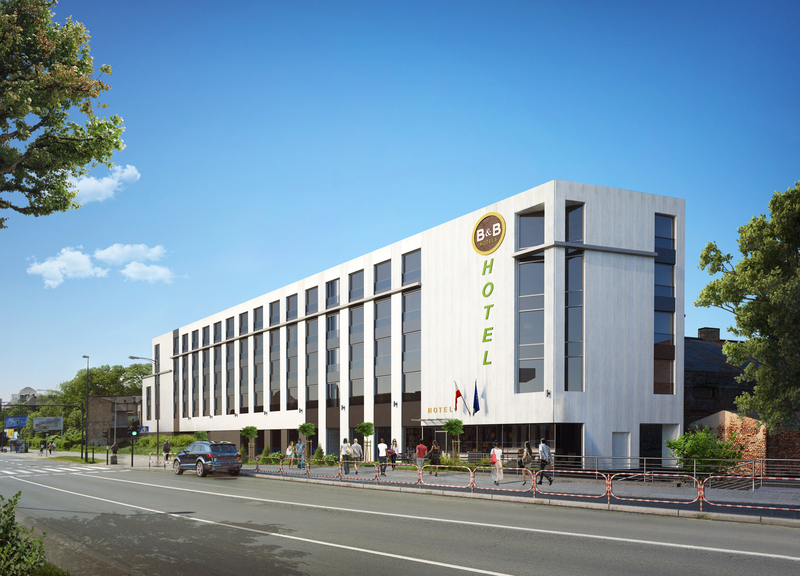 The four-star Q Hotel Plus Kraków is located only 50m from the ICE Congress Centre as well as in close proximity to the city’s main attractions, such as the Wawel Royal Castle, Kazimierz – the Jewish district, the Old Town, and the Vistula Boulevards. Booking is possible by phone (+ 48 12 333 40 14), contact: Sabina Kogut. Situated on a bank of Vistula River, across from the Wawel Castle, Hilton Garden Inn Krakow is the first Hilton Garden Inn in Poland. Ideally located in central Krakow next to the ICE Krakow Congress Centre (150m; 500 ft.), the hotel is within walking distance from many cultural attractions such as the Kazimierz Jewish Quarter and the historic Old City, a UNESCO World Heritage site. B&B Hotel Kraków Centrum is a four-star hotel, located only 50 m from the ICE Congress Centre. This hotel offers 130 comfortable, air-conditioned rooms which design was inspired by the unforgettable character of the city (single, double, twin and family room). B&B Hotel offers guests varied breakfast buffet, underground or surface car park places (the number of places is limited) and high-speed internet access with no transfer or time limits. 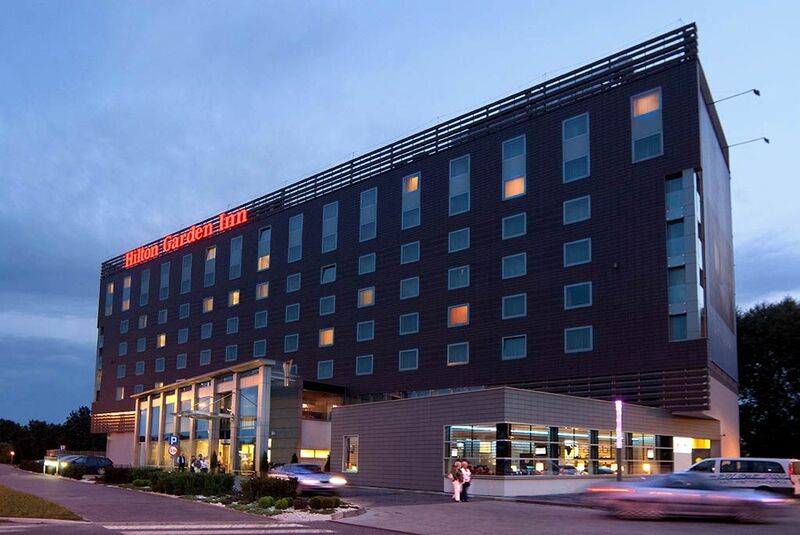 Park Inn by Radisson Krakow is a modern 4-star hotel is located in the centre of Kraków, within a 15-minute walk of the Wawel Royal Castle and 100 m from the ICE Kraków Congress Centre, as well as from 300 m from the Vistula River Boulevards.